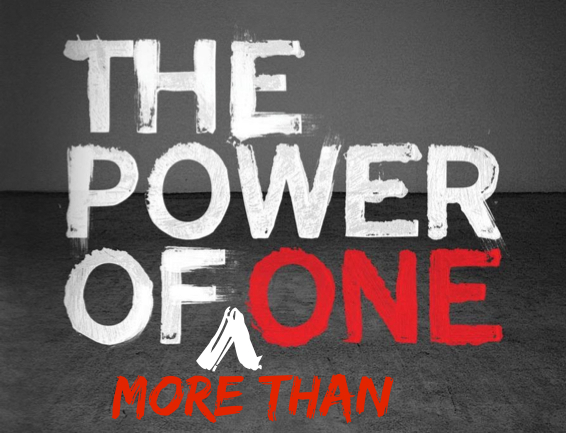 This brings us to the ‘Power of More than One,’ a follow up to the word I gave at the beginning of the year on ‘The Power of One,’ which seemed to resonate with people with the responses that they sent me. Now there is an increased power when individuals team together to reach a goal, like Nehemiah rebuilding the walls of Jerusalem. Another word that refers to this is the word ‘synergy.’ Dutch Sheets and William Ford III in their excellent book ‘History Makers’ share two illustrations of synergy. “Synergy is the combined action of two or more that produces a greater total effect than the sum of their individual efforts. If two individuals can each lift 100 pounds, when they join together, they can lift 300 pounds. This is synergy! Charles Simpson once quoted a study that showed that two horses working together pulling the same load, created so much horse power that it was if a third horse had been added. This is synergy, too. Think about it. God established a law dictating that in the natural realm multiplied power would be released through agreement, harmony and unity. Prayer of Agreement – Jesus declared, ‘Again, I say to you, that if two of you agree on earth about anything that they may ask, it shall be done for them by My Father who is heaven. For where two or three have gathered together in My name, I am there in their midst.’ (Matthew 18:19) More power is released. It is ‘the power of more than one’ at work. In the previous Langstaff Letter, I shared the quote on ‘one solitary life’ and the impact that one life had on the world. If anyone could have done it alone, it was Jesus. But we need to remember that Jesus chose a team. Initially the twelve disciples, but eventually all who believed in Him (i.e. the church). If Jesus needed a team we need to be committed to be part of a team too. That is why I believe it is important to belong to a body of believers, most normally a local church. The New Testament knows nothing of ‘lone ranger Christians’ riding off, shooting off their Charismatic six guns. Where are you plugged in? Have you discovered the power of synergy? Who are you teamed up with? God has a place for you on His team. We are called to serve God together and remember we are on the winning side. Unlike the Super Bowl, we already know the result – We win because Jesus already won the victory for us at Calvary. Go Team!